Home › HEALTH & BEAUTY › Beauty Feature › YOGA FOR THE FACE: THE EXERCISE RUST! Surely you will already be familiar with yoga, an exercise that focuses on body, soul and balance, but have you ever heard of yoga for the face? When practiced daily, face yoga or facial massage has proven anti-aging results in improving the appearance of skin tone, its structure and sagging, and improving overall skin quality – see how it works! 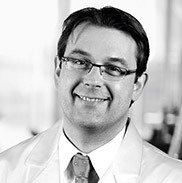 But before dominating our five favorite positions, Dr. Alain Mavon, Senior Director of Science and Innovation at Oriflame, says: “A recent study has confirmed that exercises that tighten and relax the facial muscles stimulate fibroblasts and prevent The loss of elasticity of the skin. A technique known to help the skin regain its elasticity and which has a true effect on sagging. As for me, a few minutes a day of facial exercises and a face care routine (such as Ultimate Lift NovAge) is the secret to younger-looking skin! Good for: This position may seem absurd, but in reality helps eliminate toxins from the eye contour. Exercise: Open your eyes wide and look up. Open your mouth, stretch your tongue down and toward your chin as much as possible. Hold for 10 seconds and repeat. Good for: OV acts on the aging of the eye area and brows and helps to reduce pockets. Exercise: V-shape with the index and middle fingers on both hands. 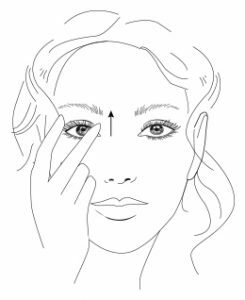 Press your middle finger at the inner corner of each eyebrow and index finger at the outer corner. Look at the ceiling and raise your lower eyelids up so as to blink. Then relax and repeat 6 times. Good For: Strengthens the muscles of the nose and prevents sagging. Exercise: Put your index fingers near your nostrils so you can breathe. Press the sides of the nose and hold them in place. Repeat several times. Good for: This position corrects the smile lines and prevents flaccidity of the jaw line. Exercise: Position your lips in “fish face” and smile. Hold for 30 seconds, relax, then repeat. Good for: Helps reduce wrinkles and flabby skin on the neck while strengthening the jaw muscles. Exercise: Tilt your head back toward the ceiling, stretching your neck up. Frown her lips as if she were blowing a kiss. Relax and repeat.